SalsaCrazy presents: Salsa Footwork & Shines – for Men & Women! 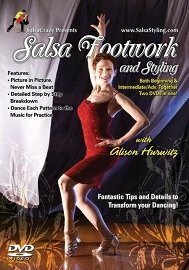 This unique DVD will teach you Footwork & Shines to take your dancing to the next level. Learn the tools to make you look fabulous on the dance floor, regardless of your dance level. This is really like two DVDs in one!